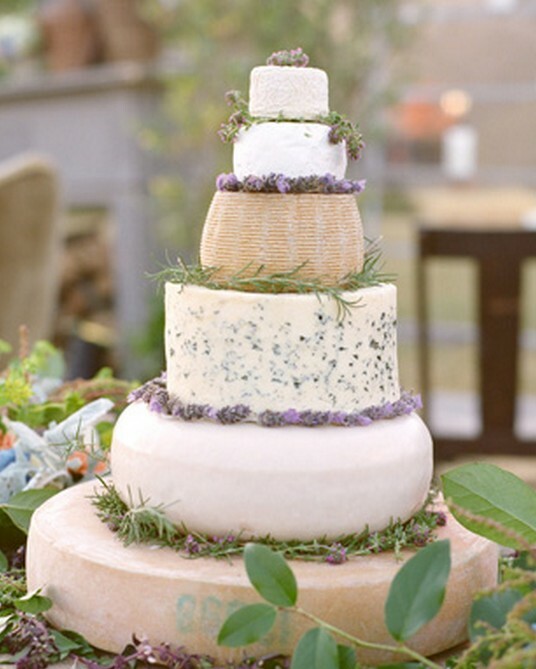 Stack different sizes of assorted cheeses and decorate to make it look like a cake! See more photos from this wedding on the source. See a tutorial for this idea. Read tips for creating this idea.